Hope the new year is treating everyone well so far — here in Montreal, we’ve been hit with a bit of a thaw and people are venturing outside to check out all the cool stuff that’s happening around the city these days∑ and trust me, there is a lot of it. 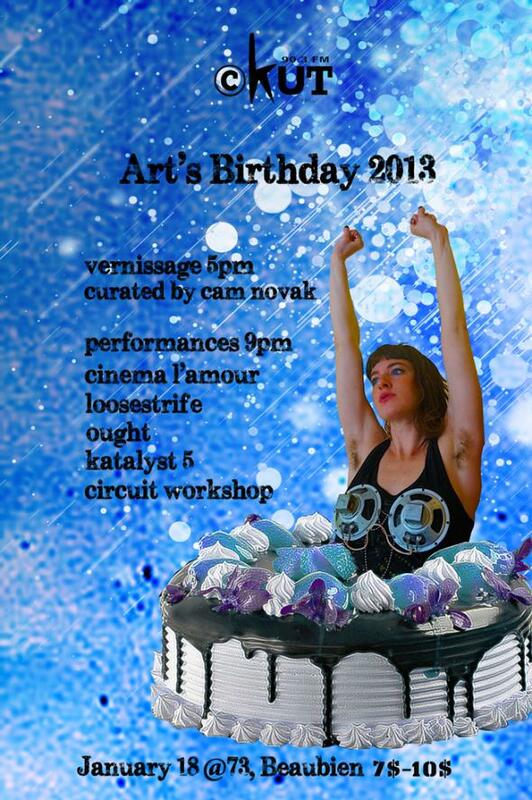 We’re celebrating another round of Art’s Birthday on Friday plenty of live music, visual installations, and cake (of course), plus there are so many other righteous shows coming up∑ come party with us, Montreal! This entry was posted in Charts and tagged total eclipse of the charts on January 15, 2013 by gabriel.